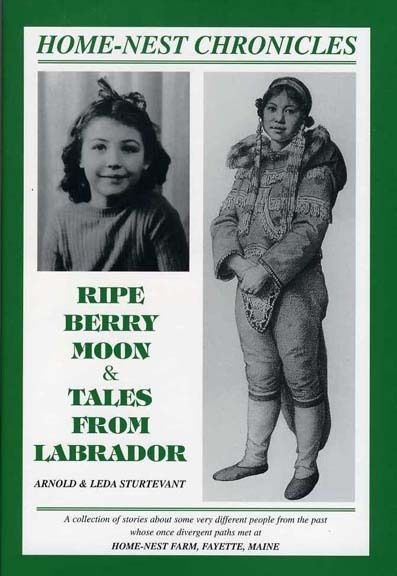 A dramatic, true account of the assimilation of two Native American Micmac women and their offspring into white culture. This collection of stories tells about some very different people from the past whose once divergent paths met at Home-Nest Farm. Stories of wars, scalpings, Indian captivity, ethnic cleansing, shipwrecks, financial failure, murder, adultery, orphaned and abandoned children, problems of racial assimilation: many such dramatic tales of our family have been told and retold before the hearth of Home-Nest Farm. 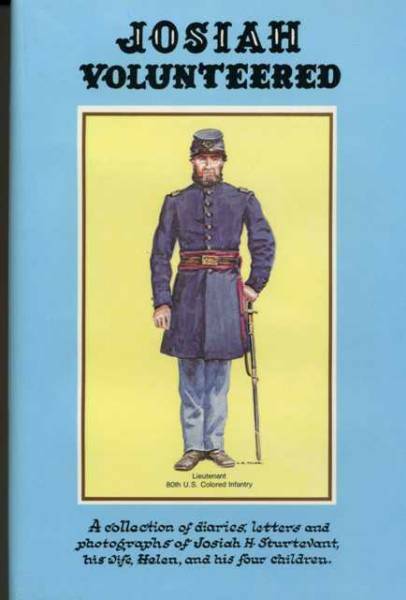 A collection of diaries, letters, poems and photographs of Josiah H. Sturtevant, his wife, Helen, and his four children spanning from the American Civil War through the late Victorian Era. A family physically dissevered by circumstances of war (Civil), employment and sickness found spiritual unity through the written word. The authors recount how love survives a lifetime of strange and fascinating, hilarious and serious encounters with demons and angels warring over their souls from infancy to old age. 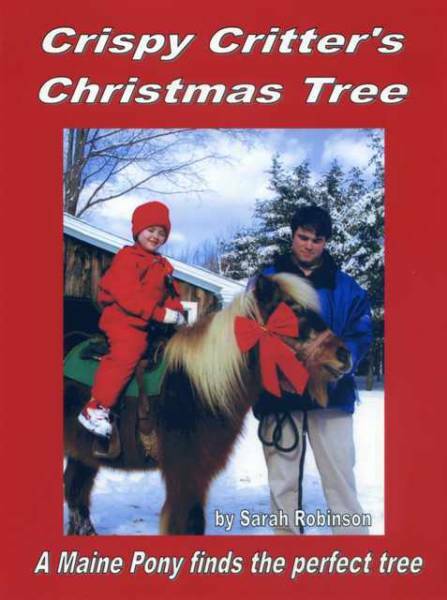 A curious pony helps find the perfect Christmas tree. Illustrated with color photos taken at Home-Nest Farm of a cast of family members and farm animals in their quest for a perfect Christmas tree. Reginald (Ren) Sturtevant is a 5th generation member of Home-Nest Farm’s host family. 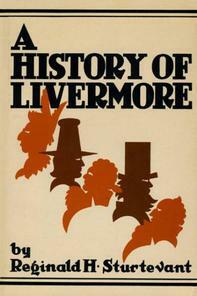 Born in Livermore Falls, where he spent most of his life in the banking profession, his heart belonged to Fayette’s Home-Nest Farm, where he spent childhood days with his grandmother and retirement years with his family. 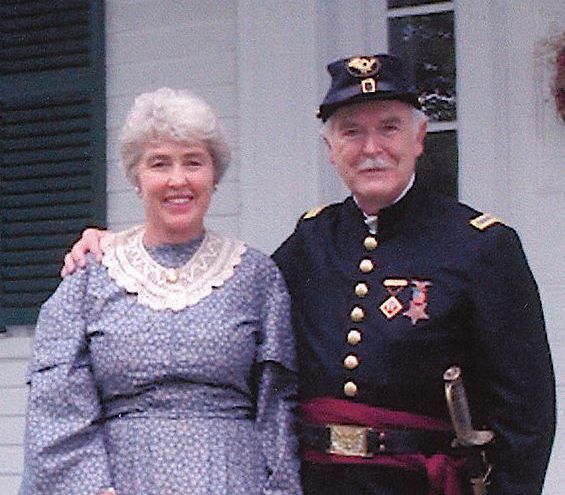 Valued as the area’s unofficial historian, he had considerable talent for incorporating a large measure of entertainment into well-documented historical content. This book is an updated edition of Sturtevant’s popular history, made all the more useful by addition of an extensive index. 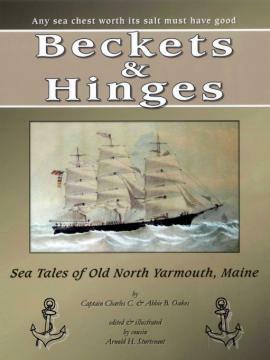 It contains hundreds of photographs from the author’s collection, together with many illustrations by Maine artist, Seaverns W. Hilton. 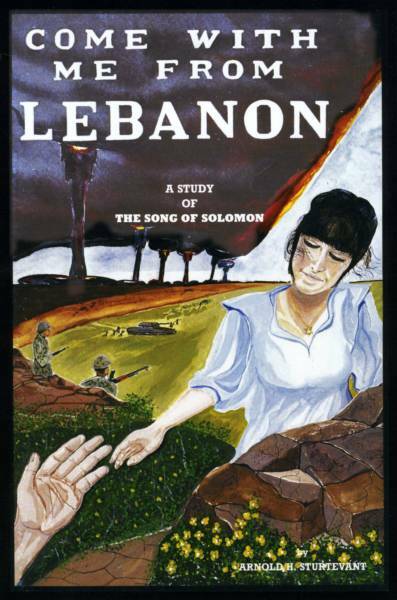 This verse by verse study finds The Song of Solomon to be Messianic prophecy presented in poetic form. The story line revolves about a love affair in which King Solomon and a Shepherd (Messiah) contend for the heart and soul of a vineyard keeper named Peaceful. The heroine pursues elusive peace in her home town of Jerusalem (city of peace), where no peace is to be found under proud Solomon's reign. She is won over by the Shepherd: the Lord is her shepherd and soon-coming Prince of Peace, Lord of lords and King of kings. For those who have been troubled by conventional interpretation of the Song, this is bound to finally satisfy, even excite, as you discover why it is an indispenible, integral part of Judaic and Christian canon. Chairman of a major Christian publishing house says, "Sturtevant's allegorical presentation may well be right! I remember in seminary hearing the general poit of view ... but not with the precision and carefulness of the author's manuscript." A Christian conference speaker adds, "It may be a sleeping giant of end-time prophecy." 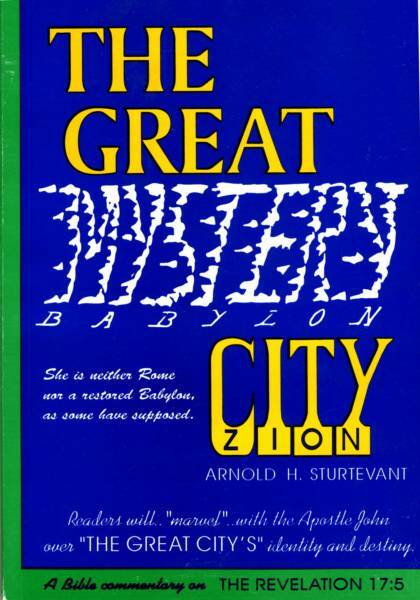 Through an impressive array of Scriptural proof, the author systematically identifies Mystery Babylon as Jerusalem, “the great city which is mystically called Sodom and Egypt, where also (our) Lord was crucified” (Revelation 11:8). The God who (by Revelation 18:24) judges “Mystery Babylon” guilty of the shed blood of all his prophets and all his saints is the very same God who (by Matthew 23:35-37) judges Jerusalem guilty of the identical crimes. No contradiction here, for all judgments of the Lord are “true and righteous” (Psalm 19:9). This study reveals the indicted cities are, in fact, one and the same. The magnitude of the great city’s predestined dark power over world events will soon be forcefully demonstrated, along with a glorious display of the magnitude of God’s everlasting love for his people, Israel. 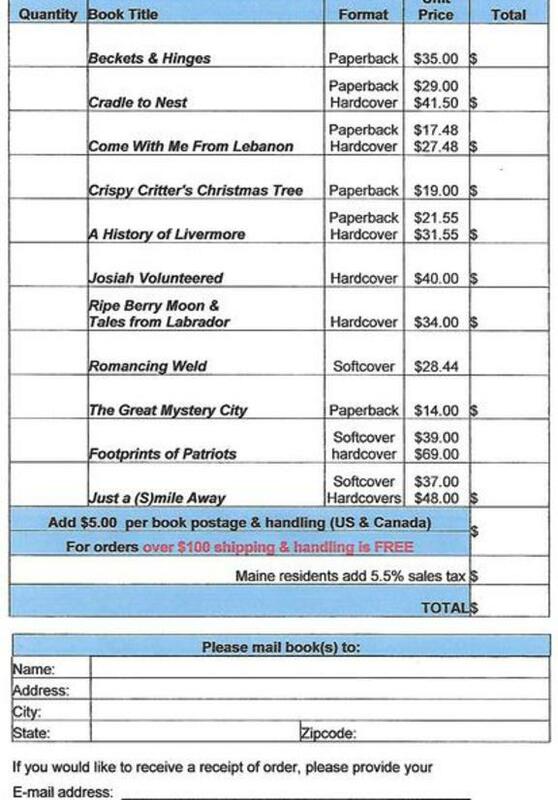 The author's family has enjoyed a 7-generation love affair with scenic Weld, Maine. This gem of a town holds a large mirror-like lake that reflects her surrounding crown of gorgeous mountains in Maine's fabled Longfellow Range. In conjunction with Weld's 2016 bicentennial year celebration,Sturtevant tells his family's tale of being part of her history for over half of the 200-year span. The author proclaims, "Once seen, who can resist her!" His stunning photographic record of her beauty is sure to inspire more Weld lovers ... "Hopefully, not so many as to spoil her," he adds. Maine threatened to take a rural family’s children as wards of the state, where the parents failed to comply with onerous teacher certification laws, thus causing the truancy of their children. The parents, whose children significantly bettered achievement standards, sued for relief, claiming 1st amendment rights. The judge agreed a homeschooling family’s religious beliefs were genuine. 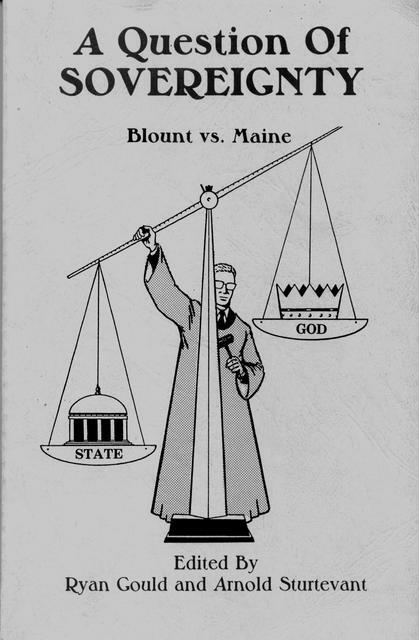 Nevertheless, on appeal, Maine’s Supreme Court upheld the lower court’s decision that the state is alone charged with the constitutional responsibility to educate its children, in effect, enjoying sovereign jurisdiction over its children ... thereby, according to author Sturtevant’s thesis, “establishing a state religion” (secular humanism) in violation of the Constitution’s 1st Amendment freedom to exercise one’s religion. Hundreds of illustrations; maps and charts interpreting factors causing dramatic spikes in baptisms over the centuries; a complete index; entertaining stories told through first person narratives. 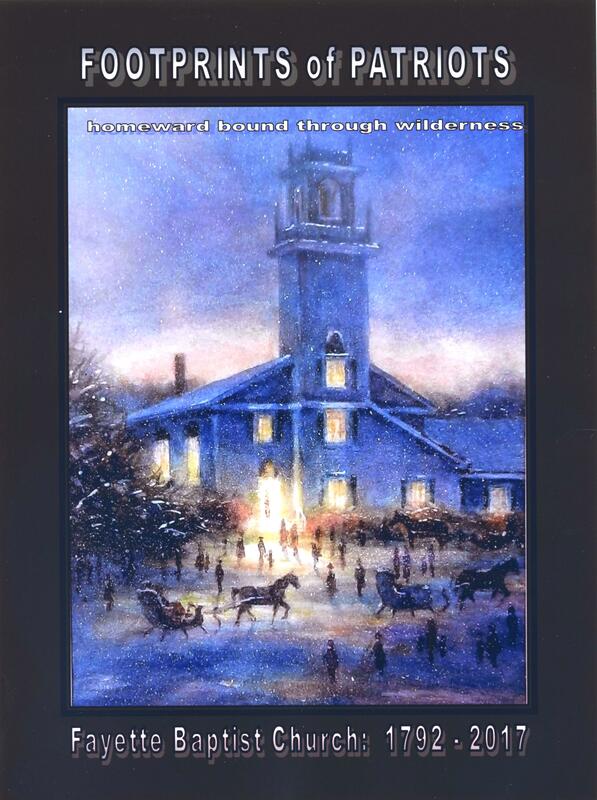 70 Patriots of the American Revolution settled Fayette, Maine, their footprints visible to this day. One clear imprint surviving the erosion of time is Fayette Baptist Church, its history seen through the eyes of a family that lived it from its very beginning, in 1792. Many valuable lessons can be learned through fascinating biographical sketches of those who lived their faith in a sometimes hostile world: not all triumphed ... (and for good reason!). 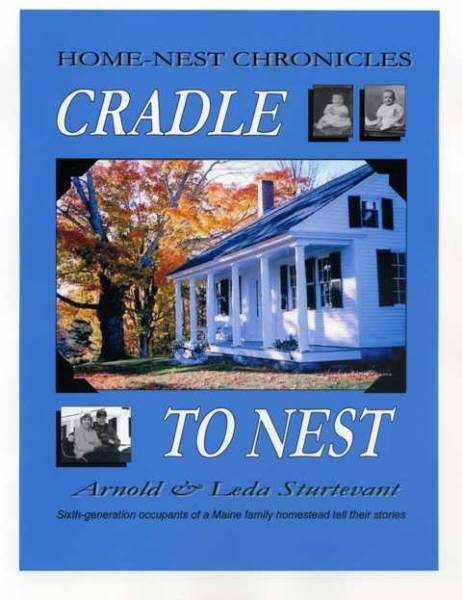 After their 50th wedding anniversary in 2002, authors Arnold and Leda Sturtevant were often separated for extended periods from children, grandchildren and great grandchildren who had flown their Fayette Maine home nest to places here and yon. Born early in another century, the Sturtevants, typical of those their age, share an aversion to modern technology - (cell phones, Facebook, Twitter, Skype, texting, etc.). Their communication to loved ones has been limited to old-fashioned letter-writing: one Christmas letter a year by U. S. Postal Service; and, in between, sporadic e-mails, as events inspired. Their mission has been to always salt messages with appropriate doses of humor, calculated to protect and promote a healthy, joy-filled family spirit in a troubled world. Publication of this collection of selected letters written over the second half-century of their marriage is meant to preserve that joyful spirit for generations they may never have the joy of greeting face to face, smile to smile, in this world.